Hey everyone, hope you're doing doing. I'm in charge with the church and I would like to introduce a sacrifice rewards system with commznd block. Each time a sheep is killed by a player inside the church, this player and all the players inside the church receive xp or xp levels. Thank you very much and have a good day ! Since sheep drop raw mutton when killed, why not use a command to check if you're holding mutton and use THAT as an offering to give everyone experience? You can change the number in count to the amount you want. P.S: It is important when using that command to have the EXACT amount in-hand! There's a way to do exactly what you want! 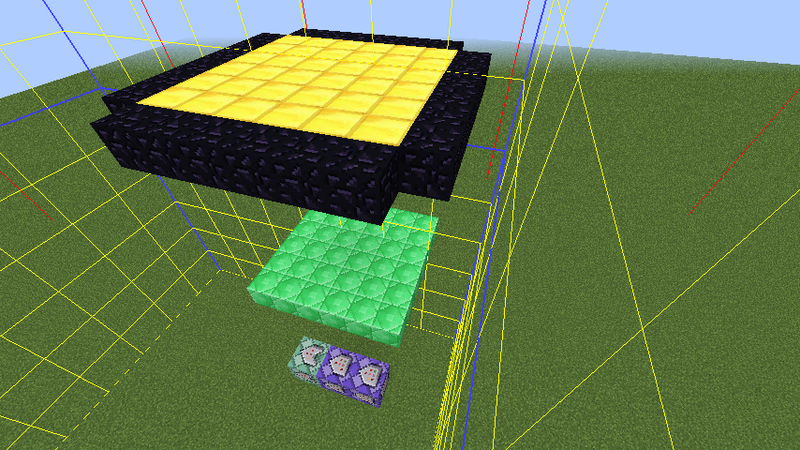 On the attached picture, you can see a golden platform, an emerald square (wich it at Y=10) and 3 command blocks. That's all! (It's an 1.12.2 creation, you haven't precised your version). You can replace the gold block by any other block, at any height, this doenst matter at all. -The system detects if there's an emerald block at X=[Player's pos] Y=10 Z=[Player's pos] from each player who have a sheep kill (as you see on the screenshot, this means that the system tests for any player who kills a ship while on the gold blocks, wich can be placed at any height). Standing on the obsidian wont trigger the system as there's no emerald blocks under it. Now you can build any patern with the emerald blocks in order to create a zone matching your church's floor.